Your customers should be able to bounce back and forth between the Webstore and your website without feeling like these are two different browsing experiences. To make this transition seamless, add a tab named ‘Rentals’ or ‘Store’ to your website’s menu bar, pointing directly to the Webstore. You can now take your website header – new ‘Store’ tab and all – and copy it over to your EZRentOut Webstore. This can be done by going to your EZRentOut account and clicking Settings → Store Settings → Configurable Header. To copy your header, simply grab its HTML and paste it into the box provided. Customers will now be able to use the same menu bar to easily flit between the Webstore and website. This ensures your branding is consistent across the two platforms. Say you own the domain www.happyrentals.com. You can use EZRentOut to make store.happyrentals.com or rentals.happyrentals.com redirect your customers to the Webstore. To learn how to set this up in EZRentOut, click here. Using your current domain to access the EZRentOut Webstore will help your customers feel like they are on the same website all the way through the rental process. You can add a Webstore Cart widget to your main website for an even smoother user experience. This will show customers the list of items in their Cart, and let them view their Cart directly from your website. This makes it a lot more convenient for customers to browse around your website while finalizing their cart, and is a great way to lower cart abandonment. Learn how to do that here. 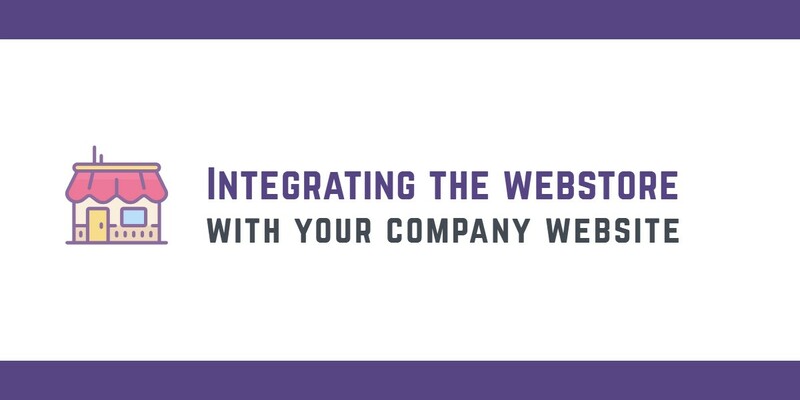 Now that everything else looks good, you can focus on matching your Webstore’s theme colors to those of your company website. You can customize colors for different buttons and backgrounds, add banners, and even use the Advanced CSS Editor to play around with the styling of your Webstore. This will be the last step to providing your customers with a seamless rental experience. For more information on customizing themes, click here. This entry was posted in [Support] and tagged webstore by admin. Bookmark the permalink.